Cities by Night is an ongoing participatory project dealing with women’s perception of the danger in the urban environment. shadows, alleys -when they smell like urine. I’m afraid of the noise of the air being slashed by the arms of someone running behind me. of unexpected aggressive noises –the clang of a nearby factory. Women from different background, race and age, are invited to explore the streets of their own city, wandering alone when the sun sets, avoiding to cross the areas where they feel uncomfortable. 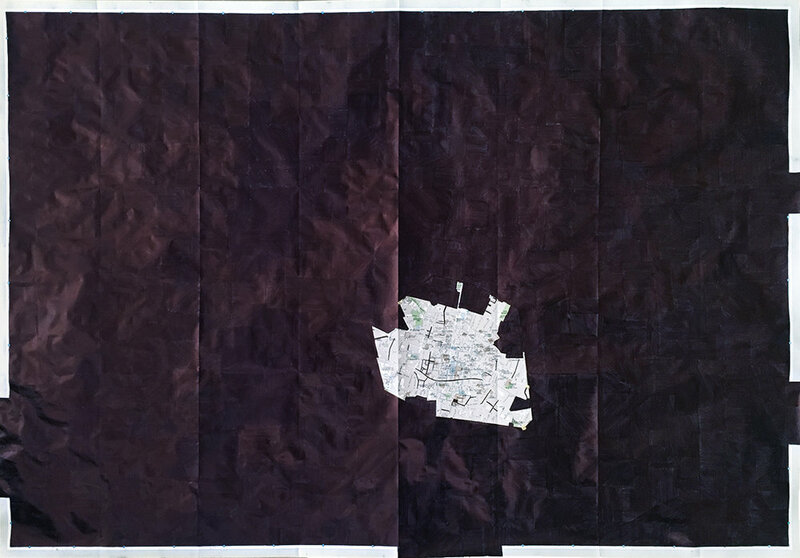 The result of their walks are several “Cities by Night”: city maps where the dangerous areas are covered with black ink, and the clear areas show a completely different topography. By exploring the city with their bodies, in fact, these “flaneuses” draw a new city, one which borders are not merely geographical but physical, emotional and political. Each of them personalized by a legend reading the data of the walker –such as her age, her class, her ethnicity, her provenance, her level of acquaintance with the city– the maps show eventually how not only gender but also shared believes, prejudices and cultural background shape, redefine and contract the urban space and our access to it. Always based on an exploratory process that leads to the creation of a new “accessible" city, Cities by Night can be presented in different ways, depending on the specificity of each context -as an exhibition showing the final maps; as a durational performance happening over the course of several days; as a participatory experience where the audience is guided one by one trough a nightly exploration of the space. In Bologna by Night, curated by Elisa Del Prete and presented as part of Danza Urbana Festival –a Urban Dance&Performance Festival in Bologna, IT– I opened the project to other women. After a two days workshop held by ethno-semiologist Gaspare Caliri and myself –in which we shared our common ideas about danger and decided for the notion of "comfortless" as our key word– the women were asked to map the city for me, going out at night privately and individually for the whole duration of the Festival (5 days). Some of the participants Maps, resulting from their walks. To be part of a Dance context underlined the central role plaid by the body and the physical experience of the space in creating a new topography, and it also gave me the possibility to play with the concepts of visibility and gaze. In fact, since the project requires the women to go out alone –as they would do in their daily life– no one was ever allowed to see them. Although they were there, they were invisible. Their chosen invisibility amplified and plaid with the historical invisibility of women in the public context (unless prostitutes), their absence in most decision making about urban policies, and the lack of (proper and effective) attention and solutions on women abuse. Having their bodies freed from the audience's gaze, the women reclaim their freedom. While taking notes of the areas they felt uncomfortable about, they also shared their results, day by day and pin after pin, on Freeda –a temporary website where the audience of the festival could virtually follow them. 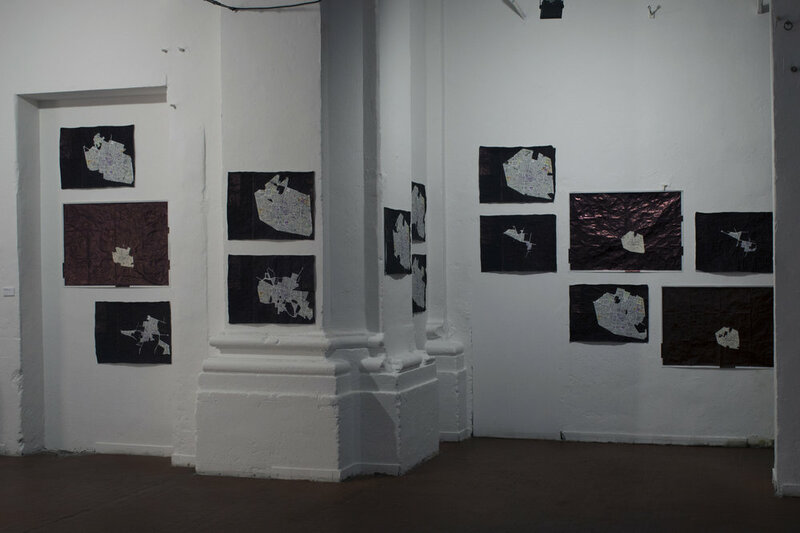 Below, a view of Atlas of Transition Biennale (Bologna_June 2018), curated by Piersandra Di Matteo, showing the 14 final maps of Bologna by Night.